RecruitingDash will help you win with Taleo Business Edition. generate 25%-50% more applicants.modernize your TBE Applicant Tracking System.update and enable all the new features. make your career website mobile friendly. improve your recruiting technology.learn what’s possible with TBE.train your team how to use Taleo properly.automate recruiting metrics and reports from TBE. Practical, first-hand experience leading recruiting at some of the world's most noteworthy companies combined with world-class consulting and software development allows us to create breakthrough solutions. It's all that we do, and we know Taleo Business Edition better than anyone else in the world. We educate the Taleo Business Edition community on the global talent trends and changing landscape of today's talent acquisition environment, so all TBE users can win with Taleo. We have enabled TBE mobile capabilities for more clients than any other consulting company in the world. We build our own technology to enhance Taleo. This means we have the technical know-how to solve virtually anything with Taleo Business Edition. Having led recruiting operations at some of the world's fastest growing companies, we have been in your shoes. We know you need practical, real-world advice that delivers measurable results. We can have your system enabled in about 21 days. We start every engagement with a complimentary "TBE Career Center Readiness Assessment" and provide a detailed Report Card on the best practice Taleo configurations that will deliver practical, real world results for your organization. Then it's up to you. We've done hundreds of engagements for TBE customers of all sizes, worldwide, in every industry. We'll keep an eye on future capabilities that might be valuable for your situation, and work with you to implement them. This is a great business case and amazing resource, as we enhance our career website. Our online application has been in need of attention for a LONG time and we are glad to have this overview to make changes. We can't believe you give this information away at no-cost! RecruitingDash has provided an exceptional data-driven and timely resource in delivering their TBE Career Center Readiness Assessment to our company. I frankly can't believe they have offered this in-depth comprehensive consultation for free! The best practices and mobile optimization recommendations are absolutely vital to increasing the number of applicants we receive at Flux. Implementing these recommendations has put us ahead of the recruiting curve in our industry and created a better candidate experience all around. We were so impressed with the amount of time RecruitingDash put into this presentation and delivery. Thank you for providing such a customized and solid roadmap for improving our career website. The career website has been great. All the other times in the past, we have "talked" about these types of changes but never gotten around to them. We are very pleased. Kudos to the RecruitingDash team. The free, no-strings attached assessment was instrumental in my ability to share what was possible with my SVP. It pointed out much needed improvements and also showed us where we were doing things right. From start to finish I was impressed with the professionalism and honesty of RecruitingDash. Their webinar was very well put together, informative, and made the business case to switch to a mobile careers site straightforward. The free career site assessment was fantastic and very eye opening for my team. The process to enable our mobile careers site was quick and painless, with regular weekly check-ins and fast responses from the team. We are so pleased with the end result! Thank you, RecruitingDash, for taking time to deliver such a thorough presentation and giving us so many great ideas on how we can improve our career website. We truly appreciated the customized assessment and detailed report. We were very impressed with the level of detail the TBE Career Center Readiness Assessment and overview gave. It allowed us to make a strong case for some much needed improvements to our application. Recruiting Dash provided great FREE tips for my application process using Taleo. I do not feel pressured to purchase anything after receiving the free assessment. Having received their tips and knowing they are available for Taleo customer support helps me feel more confident about using Taleo as my ATS. Human Resources Manager, Segue Technologies, Inc.
At VNA we were administering a paper-based assessment test for candidates who move forward in our interview process. It was time consuming and cumbersome for the recruiting team, and not a good candidate experience. RecruitingDash helped us implement the TBE Two-Step Application and Pre-Screening Questions so now the process is completely automated for applicants on any device, including smartphones and tablets. We eliminated an “old school” paper process, improved the candidate experience, and saved our recruiting team countless hours per week. Plus, we are getting lots more applicants who now can apply via their mobile device. I wanted to let you know that RecruitingDash is great! I had a written assessment preformed at OHUG and it was spot on. RecruitingDash founder Jason Warner has over two decades of corporate recruiting, talent management, and executive leadership experience at some of the world's fastest growing and most innovative companies such as Google and Starbucks. At Google, Jason led the largest Recruiting and Learning and Development teams at the company and also supported the hyper-growth and people development needs of North America, Latin America and Asia for the Online Sales and Operations group, one of the fastest growing business units at Google. Prior to that, at Starbucks, Jason was the Director of North America Recruiting, responsible for all North America talent acquisition during the greatest growth years at the company. Jason has been chronicled in the New York Times and featured in the National Best Selling book Mavericks at Work. 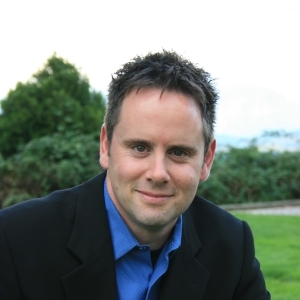 He is a frequent writer for, and keynote speaker at leading Human Resources and Recruiting Industry Conferences such as ER Expo, The Recruiting Conference, Oracle Human Capital Users Group (OHUG), and Oracle’s own HCM World as well as HCM and Taleo Webcasts.